The standalone version of MIDI Guitar was designed to be a handy little host of plugins, that does not depend on a complex DAW recording system, making it ideal for rehearsals, live performances or for when you just need a quick creativity boost. However, you’ll need some plugins to really make it shine. The built-in synths and instruments are really just meant as a starting point. 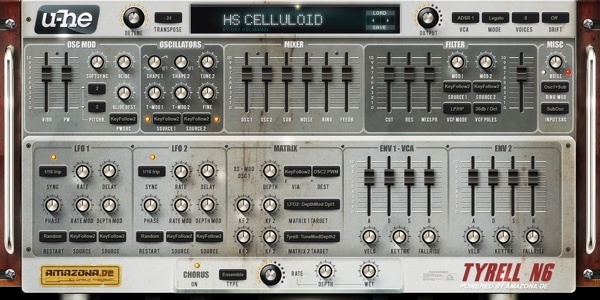 This page details the various types of plugins supported by MIDI Guitar and recommends a few good first synths for new users. 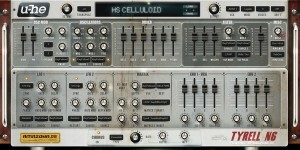 Previously called Sonar Platinium, Cakewalk by BandLab is now free (!). It includes high quality plugins of all sorts. More info on how to plugin MIDI Guitar into Cakewalk/Sonar on jamorigin.com/daw. Ok, this isn’t actually free, but inexpensive and Mac only. But it has lots of good sampled instruments plus you get simple and friendly DAW for some quick recordings. 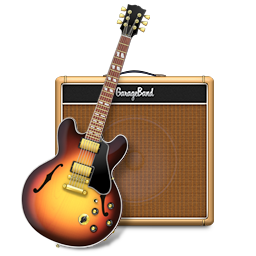 More info on how to plugin MIDI Guitar into Garageband on jamorigin.com/daw. Virtual Playing Orchestra is a large freeware bank of orchestral instruments. All will be listed automatically as instruments inside MIDI Guitar. You need to download both the large wav files package and the small SFZ files package. Put all these files in a folder on your hard drive. In order for MIDI Guitar to find the instruments, you need to open MIDI Guitar, go to Plugins and set the SFZ folder to whatever location you put the SFZ files. 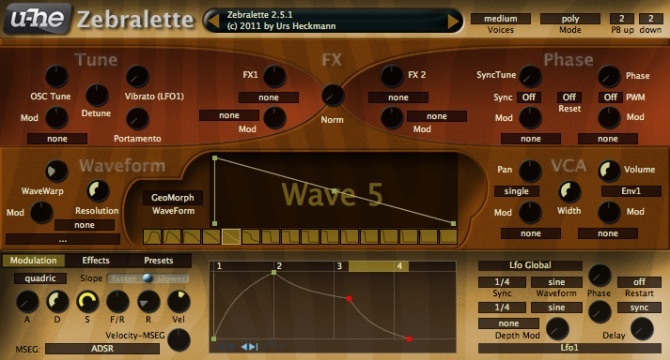 Zebralette is a simplified version of Zebra 2 – one of the most popular synths around. For beginners, most synths just looks like a panel of an overwhelming lot of knobs, but Zebralette has fewer at least. Yet it sounds great and is freeware. The installer will install a demo of Zebra 2 as well. Very powerful analog synth loosely based upon the famous Juno 60 and Jupiter 6 synths. Download Tyrell N6 here. (the site is in german, translated version here). You need to look no further than LePou (Poulin Amplification) who offer a pack of awesome guitar amps. All of LePou’s amps come together in one pack. All LePou plugins are currently freeware, but please donate to LePou if you like them. HyBrit is based upon the classic british amp. Le456 is based upon an iconic german amp and will appeal to metal guitarists. Please mind that these are preamps only. You don’t want to use LePou plugins without a cabinet simulation. (it will sound very bad), so remember to set a cabinet. MIDI Machines is a proprietary technology developed at Jam Origin and currently you’ll have to develop your own effects using the integrated development environment inside MIDI Guitar if you want to go beyond the built-in MIDI Machines. You’ll need to be familiar with the Lua scripting language. How to install VST/AU plugins? Plugins are easy to install. Some plugins are distributed as an installer that you simply run to do that installation. Windows users: Copy any 32 bit .dll file to c:/program files (x86)/Steinberg/VstPlugins/ or copy any 64 bit .dll file to c:/program files/Steinberg/VstPlugins/. Mac users: Copy any .vst file to your VST plugins folder /Library/Audio/Plug-Ins/VST/ and copy any .component file to your AudioUnit plugins folder: /Library/Audio/Plug-Ins/Component/. In order to use your new plugin from a host application (i.e. from MIDI Guitar) that application must scan your plugins folder to discover the new plugins. In MIDI Guitar press the scan button in the Plugins section.